Mumbai, 3rd October, 2017: NIIT Limited, a global leader in skills and talent development, announced the appointment of Mr. Anurag Gupta as the Head – Global Retail Business (GRB) India Operations. In this role, Anurag will be responsible for driving the goals of B2C businesses of NIIT and Channel partners in India, Training.com – a multi-modal learning platform, NIIT Inside Colleges (NIC) India, all verticals of IT, BFSI and Management programs and NIIT.tv penetration in the country. In May 2003, Anurag was heading NIIT’s business unit of West Zone (India), Middle East & North African operations as the Vice President. He was with NIIT till November 2007. In his last stint as the Chief Mentor & Whole Time Director at Ice Creative Excellence Private Limited, Anurag was instrumental in setting up and leading ICE to its current position as a leading media and entertainment training school. He started this initiative as CEO – Education with Balaji Telefilms Limited and subsequently handled this asset as Partner in PE venture, Indus Balaji. Anurag has also served on the board of SMART Q Education Solutions Pvt. Ltd. and Perfect Pin Code Property Services. An MBA from IMT Ghaziabad, Anurag has extensive work experience of over 25 years across education, engineering and textile industries. He began his career in 1992 as a management trainee with Lohia Star Linger Limited. 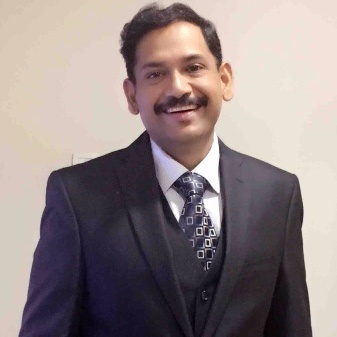 Subsequently, he worked in senior positions at GKW Limited, DCM Shriram Consolidated Limited and Aptech Limited & Frankfinn Institute of Airhostess Training making significant contributions to these organizations. “I am pleased to take on this role, and excited to come back to NIIT. Bringing my varied experience on a platform of a trusted brand like NIIT, I look forward to working with the team and taking GRB India to the next level of growth.” said Mr. Anurag Gupta, Head – GRB India Operations, NIIT Limited.